The deputy principal at my school found this website while searching for some information about formative assessment. He thought it was great and shared it with all the staff at the school. I did some further exploring and decided that he was right. There are strategies for both teachers and students to utilise in the classroom. Black Line Masters (printables/ photocopy templates), graphic organisers, photos of student work and links to even more resources can all be found there. Use the tabs at the left side of the page to explore the category. This link will also be added to the “Teacher Resources Online” page of this blog. So you will always be able to find it. 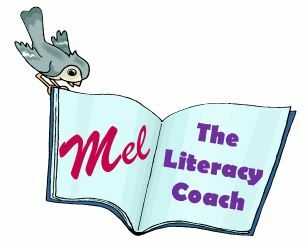 Well, Mel the Literacy Coach is on Twitter. So you can follow me @MelLitcoach. You will be able to see pictures of my classroom (the work in progress), check out who else I follow and read notifications of new posts on the blog. I’m not sure any of that makes sense, but there you go. Check it out. Literacy Coaches have worked in schools for more than a decade. Yet, there are many teachers and administrators who have no idea what the Literacy Coach does. Our school has been allocated a regional Literacy Coach for one day per week until the end of the school year. The administration (and I) have allocated that time to one faculty per week, with a list of activities we would like the coach to complete. Several Heads of Department have asked: What am I supposed to do with this resource? How can this person support my already overworked staff and improve the literacy skills of our students? I chose to give them the following list. 1. Shadowing: The coach can shadow one or two teachers for one lesson (per week) and discuss literacy strategies that could be implemented in his/ her class. These professional conversations could lead to team teaching activities or mentoring. 2. Modelling and Observation: Have the coach model a lesson segment in one class and have a few teachers observe (or video the lesson). Invite the faculty and the Regional Literacy Coach to have lunch together, watch the video of modelled strategies and discuss. Use faculty time to discuss implementation and extension of the modelled strategy. Create activities that explicitly teach or utilise your chosen literacy strategy (e.g. 3 level guides, 7 steps writing, vocabulary visuals, guided reading). Work with a small group of teachers in your faculty to create literacy activities focussing on a single year level. Create 3 Level Guide (or other ‘good reader/ writer’ strategy) homework sheets and provide guidelines for future development of these. 4. Extension: Use comprehension strategies that your faculty has already used or wants to know more about. The Literacy Coach can extend uses of the strategy with your staff, model it or help create resources. 5. Buddy/ Mentor: match the Literacy Coach with one or two key teachers from your faculty to support them with literacy teaching strategies in their classes. Key teachers may be more experienced or have identified literacy as an area where they want to improve/ extend their teaching. When these teachers are using the strategies proficiently, they can share with the faculty and/or buddy with another teacher. 6. Toolkit/ Fact Sheets: The Literacy Coach can provide short fact sheets and templates for strategies he/she has introduced in staff meetings. It will be important to meet with the coach and discuss how these fact sheets and templates can be modified for the subject areas in your faculty. 7. Critical Friend: The Literacy Coach can work with teachers to improve existing literacy resources that your faculty has already developed and create new resources. Work with relevant subject co-ordinators to modify assessment according to various literacy needs. Vary questions (specified by you) to fit with the 3 Level Guide Multiple Choice format (or other literacy strategy focus in your school). 9. Round Robin Use the Literacy Coach and Learning Support Teacher (or other key teachers) to facilitate literacy activities for teachers to experience in small groups. Activities might include case studies, Q and A, data analysis, selection of useful strategies or other faculty activities (facilitated by the head of department). Small groups rotate through each activity. 10. Q and A: Combine with another faculty (e.g Maths and HPE) for a focussed discussion of strategies already covered in staff meetings (contextualised for your teaching areas). You will need to meet with the literacy coach to ensure he/she uses relevant work samples and is prepared for questions from your staff. Ultimately, the Literacy Coach, regardless of where he/she is based, is an experienced teacher who has the expertise to support teachers with literacy instruction and is a resource. Leaders need to use this resource effectively and the best course of action is to work with them and negotiate the best uses of the time allocated. What does the literacy coach do at your school? How do administrators/ department heads use literacy coaching time/resources? Does the Literacy Coach support teachers in classrooms or spend time creating resources? Is the literacy coach based at your school or does the coach visit several schools? How much time does the coach spend with students? I have often ascribed to the concept of sandwiching ‘bad news’ in between two slices of happy (soft and warm bread, yummy). This infographic is an representation of the process with some extra points on word choice. I would recommend printing this and referring to it often. It is a great visual prompt for those professional (sometimes difficult) conversations. Often when mentoring and coaching, it is our delivery of the message that makes all the difference. Teachers (in fact anyone in any job) want to be told they are doing well and want to know how they can be the best at what they do. It is important that when we are communicating we consider every aspect of the conversation; what we want to say, how we want to say it and even when we are going to say it. This coaching thing requires a great deal of diplomacy. I have added a new page to my blog. You can see at the top right hand corner, there is a tab that says “Teacher Resources Online”. Clicking on it will take you to my new page which has some links to websites that I have found useful for finding background information and teaching ideas. I have many other websites and blogs that I visit regularly including Pinterest. I receive email subscriptions, which take me to more blogs and websites. I frequently use educational games and Google apps as well. I am planning on adding more links on the link page as well as new pages to my blog. Please keep coming by to check out what is new. Use the comments section to let me know if you have any suggestions for how I can make it easier for you to find links or information. If you are looking for specific resources or you have a special purpose that requires resources, please let me know through the comments section. I want my additional pages (as well as my regular posts) to be useful to my readers, so your feedback is much appreciated.